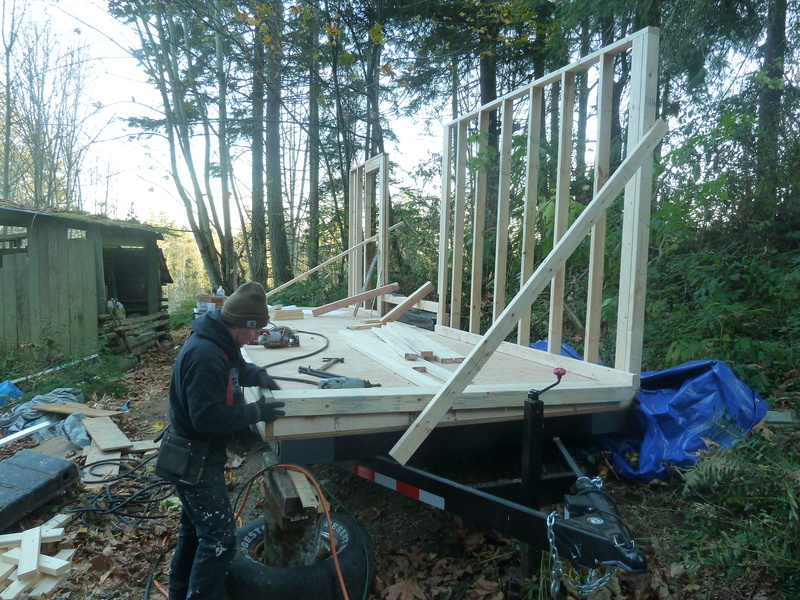 My Tiny House Walls Are Getting Framed! Whoo, Hoo!! Progress! The first wall of my Tiny House is going up! This photo shows Mike, the handyman builder who is helping me.